Studying for a law degree can be expensive. With all of the textbooks, course material, stationary, living expenses and everything else that comes with studying at university, finding spare cash to cover emergencies can be difficult. Legal essay competitions are a great way to boost your income whilst at university. What is a Law Essay Competition? A Law Essay Competition is exactly how it sounds: a competition which requires the applicant to write an essay that has a focus on a particular aspect of the law. Some essay competitions have monetary rewards, such as those offered by The Inns of Court or The Bar Council, whereas others offer the chance to take up an internship or work experience at a top law firm. Usually these essay competitions will have certain requirements that must be met. These usually include a stipulation on what stage of education you’re at as well as other selective criteria depending on your experience. How Do the Essays Differ? In a general sense, law essay competitions do not differ as they all want you to write a discussion piece on the law with a certain focus. 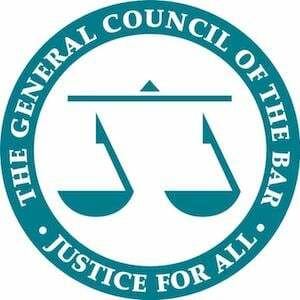 For example, the law reform essay competition by The Bar Council asks for an essay on how to reform an area of the law. This contrasts with The Law Society’s ‘Graham Turnball’ Human Right Essay competition, which focuses on a specific question involving human rights. Moroever, other law firms may ask for pieces on different areas in which they specialise in and sometimes for ideas on how they can expand their business. Whether you are thinking of applying to a law firm, chambers, scholarship or considering another career there is certainly value in entering these competitions to boost your CV. It has been reported on by The Bar Council that chambers mark applicants for pupillage based on a number of criteria and these often include whether they have won an award for something law related. The awards that firms look for could be those that demonstrate oral advocacy or through writing competitions that demonstrate written legal skills. The same is true when applying for scholarships, as it helps to show capability and is often seen by many in the legal field as a better gauge for discerning the quality of their candidates. Lastly, aside from the reputational value, some offer very nice incentives for winners, such as paid internships (Clifford Chance under Intelligent Aid offered 50 placements in 2016 this way) and monetary incentives sometimes of between £500 to £4000.